Since I receive inquiries regarding various flower of life products every now and then, I would like to start to tell you about my own experiences and recommend some good products. I think that this is particularly important in today’s times, as more and more products about the flower of life are pushing the market, but quality isn’t always the best. 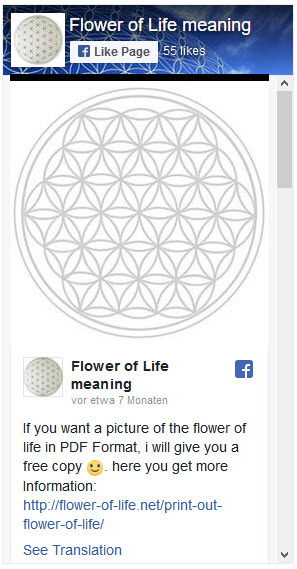 I would like to start with a flower of life sticker, which is particularly noble and beautiful. The special thing about this sticker is that it is three-dimensional and that it is made of filigree chrome-plated metal. It’s called EnerChrom and it is available in silver and gold. I have this sticker on my cell phone and it just feels elegant because of its three-dimensionality. It’s possible to actually feel the structures of the metal. There is no disturbing transparency film, I absolutely love this sticker :-). You can put it everywhere, as I said, I have it on my mobile phone, but according to instructions you can also stick it on glass, coasters, metal, paper or plastic. But it should also work on any other smooth material. I have already tried to remove the sticker and put it on something else. That went quite well. However, you shouldn’t do that too often since it loses its adhesive force when it is frequently removed and replaced. And it comes in a nice little box. This also makes it possible to recognize the good quality and workmanship. If you have a closer look at the structure of this sticker you’ll actually notice how fine the manufacturing is. My sticker has a diameter of 3 cm, and I just can’t notice any faults in the workmanship and the structure of the Flower of Life. It’s just perfect. To make this even clearer I made an enlargement of my Flower of Life, so that the filigree and the structure are easier to see. Unfortunately it wouldn’t make a good profile picture, the camera of my phone wasn’t good enough:-). 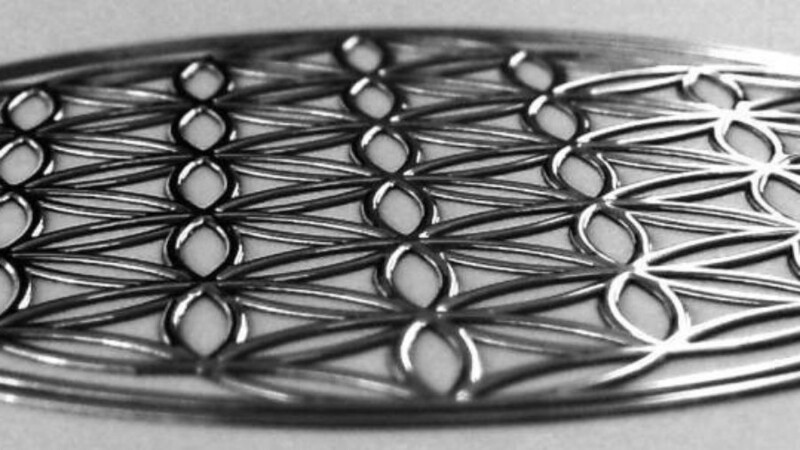 But it’s still possible to notice its metal structure and the 3D effect. This is an enlargement of my sticker, you can easily notice the 3D structure and its metallic shine. 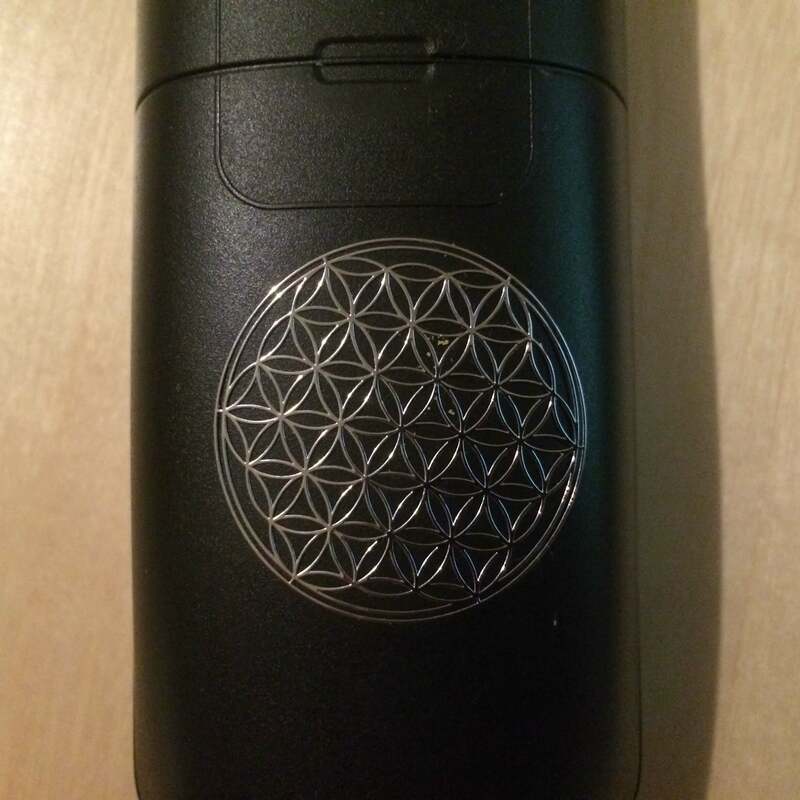 This Flower of Life sticker is something very special and no 0815 sticker which you can get at any esoteric fair. The processing is amazing and due to its metal structure and 3D optics it just looks real classy. 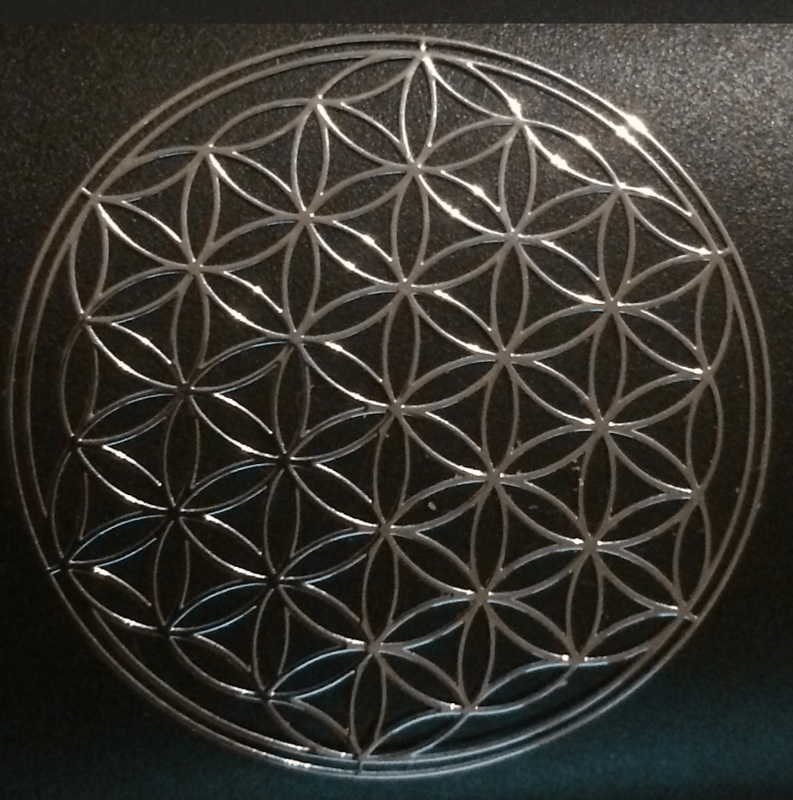 If you also have a favorite flower of life sticker, please let me know. Feel free to leave a comment or write a message to contact@flower-of-life.net. This is my German Online Shop, but you can order it from there.If it´s not working please let me know. I will create a english online shop soon, so it will be simple for you to order :-). Last updated on 2019-04-16 at 3:35 pm - Image source: Amazon Affiliate Program. All statements without guarantee. I like the metal flower of life sticker you introduced on your webpage. I would like to buy it, but the link that you provided did not work any more. Would you please let me know where to buy it. Hello! Thank you for sharing this amazing info. I’ve just tried to order the flower of life sticker but they don’t have Italy on the list of countries they ship to. Can you please recomend another online shop for this? thank you for your message. I have checked the Counries, and now you can order to Italy and other Countries too :-). I would like to order but I don’t speak German…please help Karen from U.S.A.
no Problem :-), you can order from me, and pay with Paypal. What kind of Sticker want you? The silver or gold?